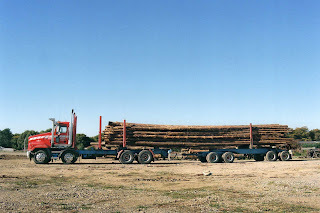 The following truck pictures were taken in the last three years. Menefy's of Palmerston North have a Mack Superliner which is often seen pulling a tanker, but here it is, with a flat trailer and a load of timber products, filling with diesel. 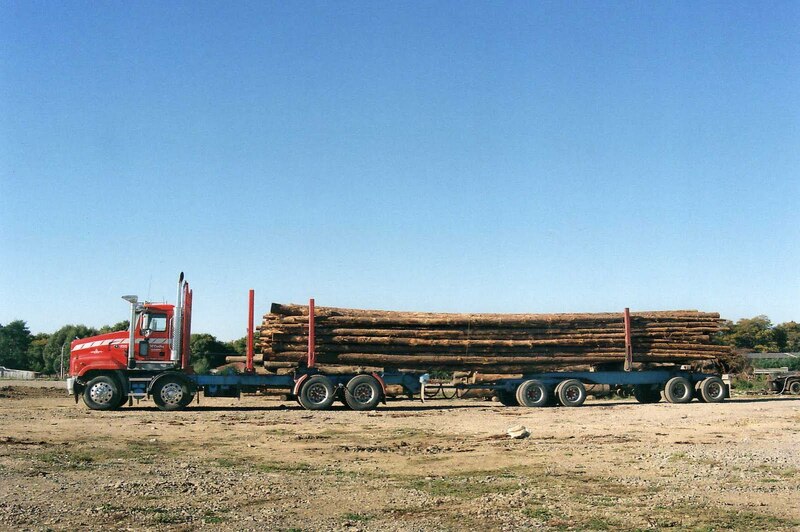 McCarthy's Transport have a fleet of around 70 logging rigs. Here is a Mack at their Masterton yard with a load of "longs". 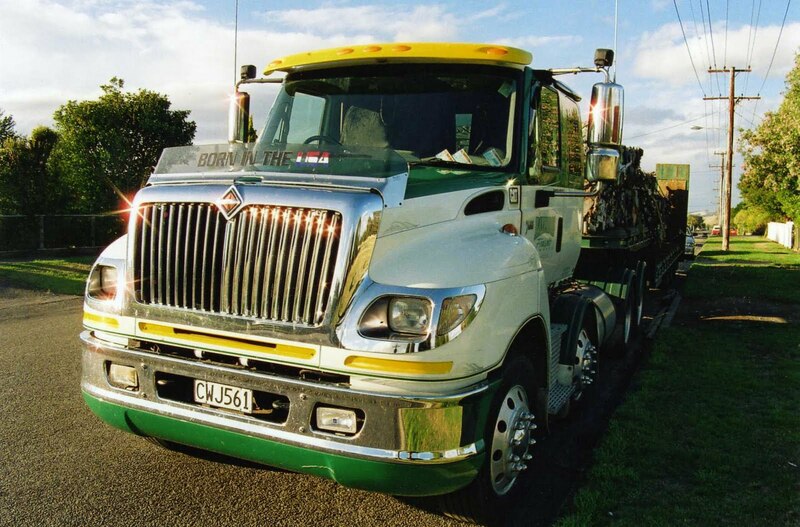 The Masterton yard is their main servicing centre for trucks based in the lower North Island. 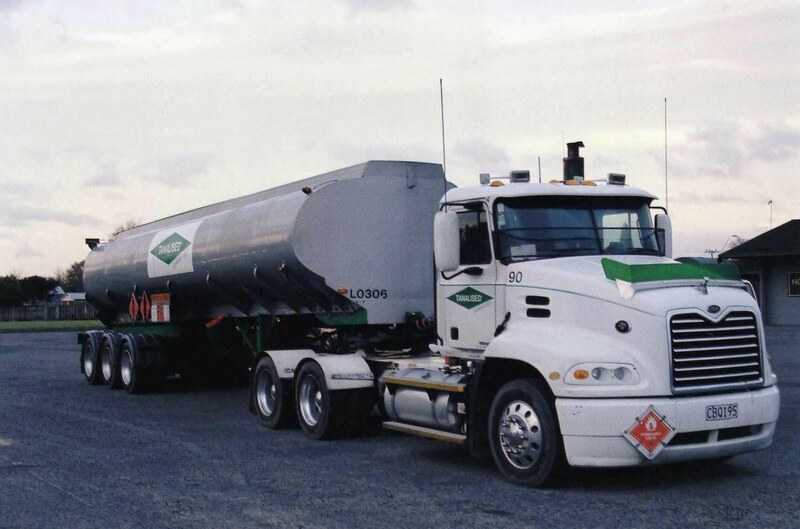 Parked overnight at Masterton is this 2004 MackCX688 with a tanker used for carrying wood preserving chemicals. 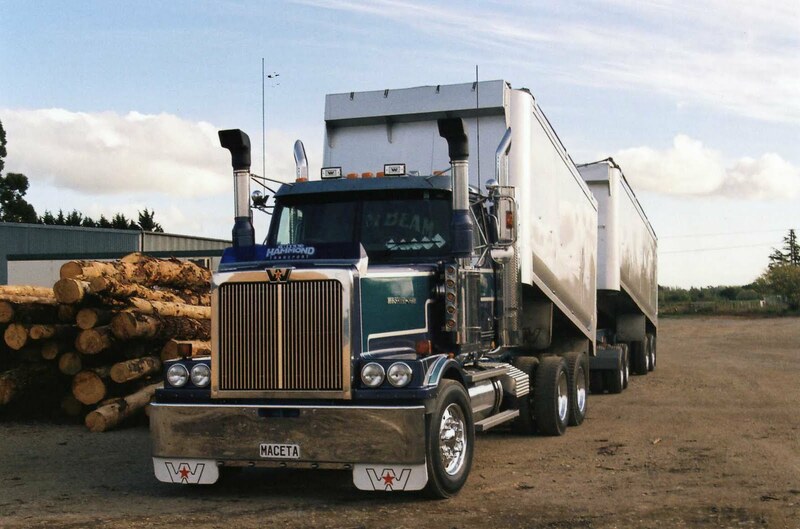 Tony Olszewski runs a small fleet out of Dalefield Road in Carterton, including this 8 wheeler International 9800. 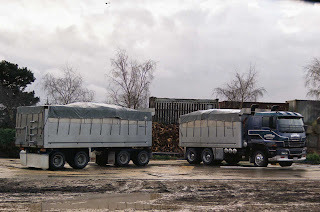 Right next door to Olszewskis is Bill Hammond who runs a few bulk tippers and trailers. 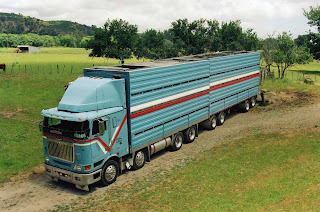 This is one of two Western Stars that are part of his fleet. It is a 2005 4964FX. 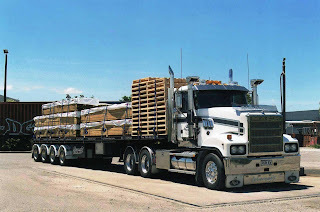 "Born in the USA" is a 2005 International 7600 used for carrying scrapped car bodies after they have been crushed. Seen here parked in Masterton in the street where I live. 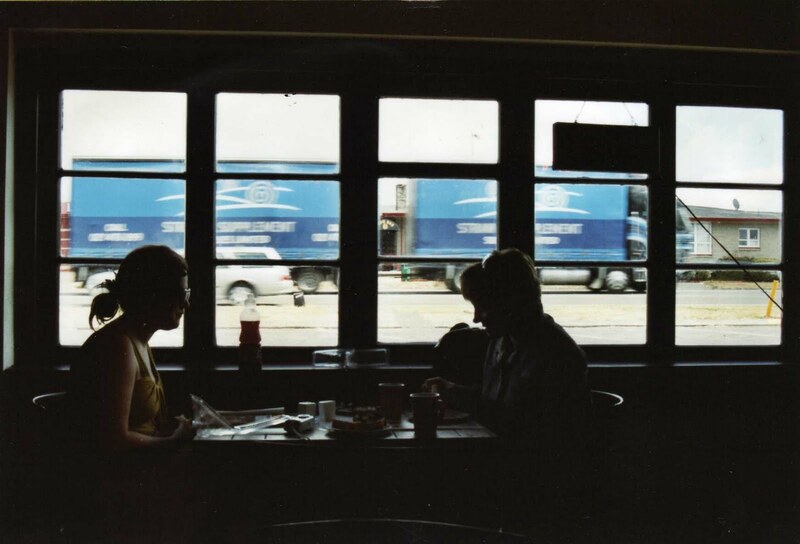 My daughter and my wife eat a meal in a cafe at Waiouru as 8 axles of Freightliner Argosy and trailer passes through. Waiouru is in the central North Island at the Southern end of the Desert road. 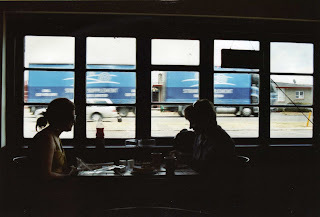 It is a popular place for truck drivers to fuel up their trucks and themselves. 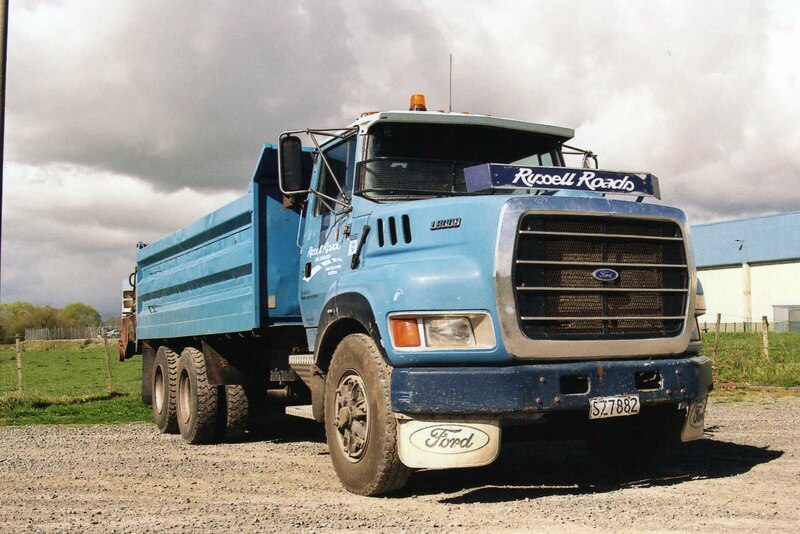 Russell Roads are roading contractors based in the Hawkes Bay area of the North Island's East Coast. 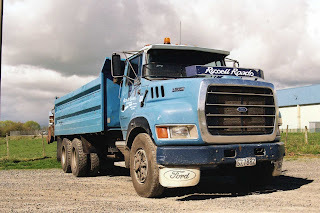 This 1994 Ford Louisville LTS 8000 was parked near Masterton. Bill Hammond also has a couple of Isuzus in his fleet. 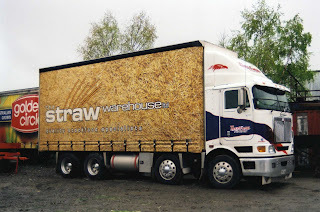 This example with trailer is parked in his Carterton yard. 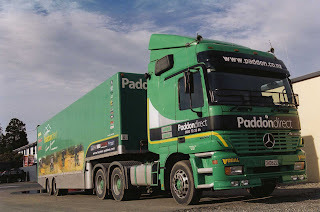 Paddon's are well known in the South Island as manufacturers and importers of farm machinery. Rally driver Hayden Paddon is a member of this family. 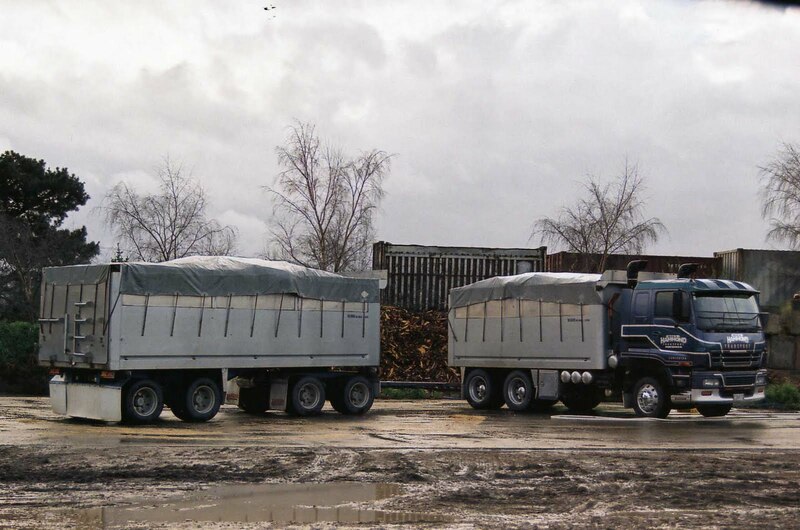 This 2000 Mercedes-Benz Actros 2643 rig, is used for transporting the Subaru rally car. Hayden recently won Rally Argentina. C.R.Grace of Hunterville operate this2003 International 9800i Eagle stock truck. It is here loading stock at Gladstone, South-East of Masterton. The trailer drawbar has been "telescoped" in to allow loading right through from trailer to truck.